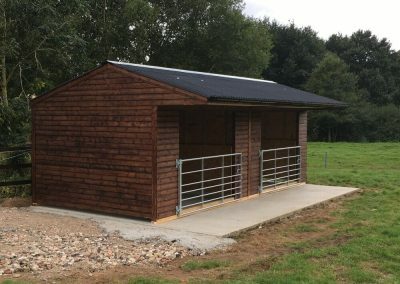 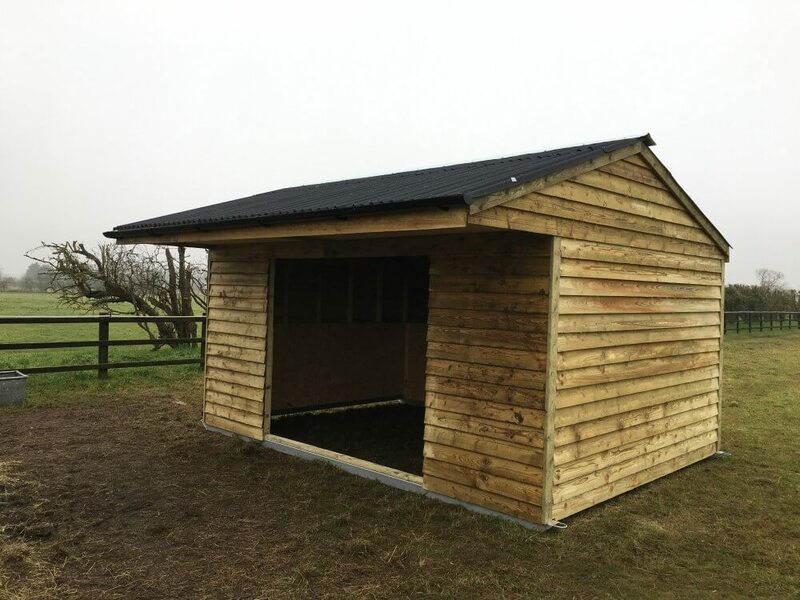 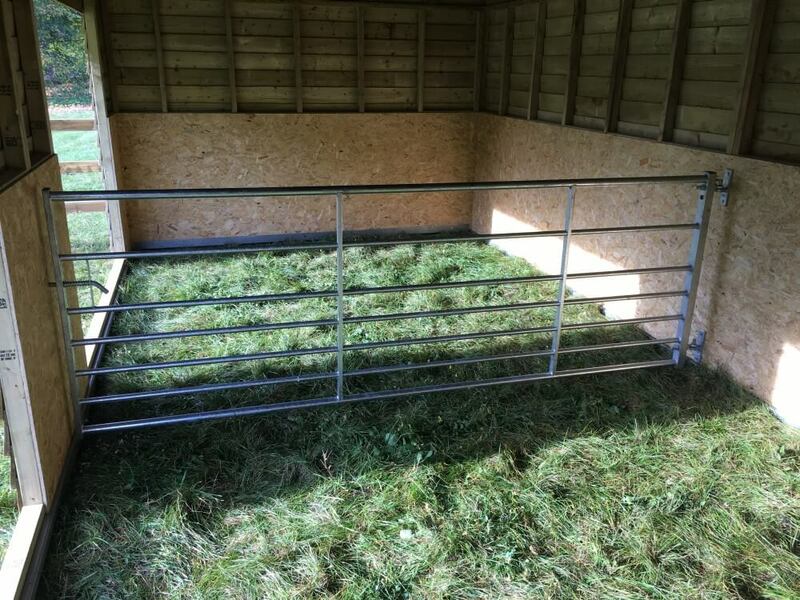 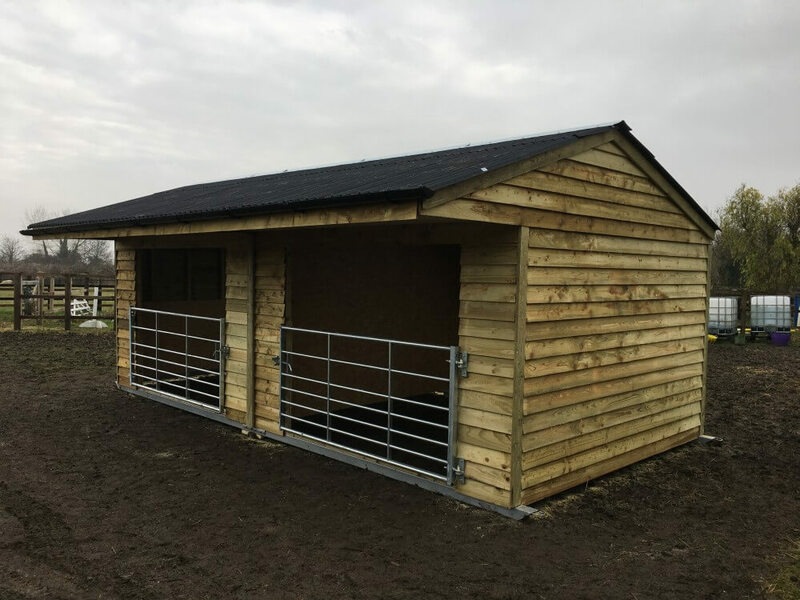 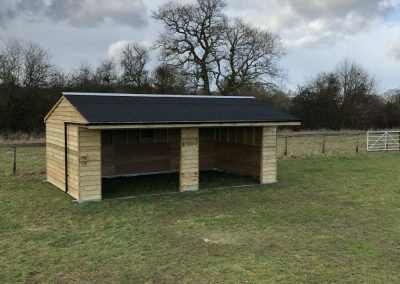 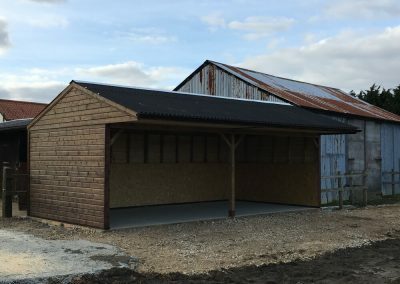 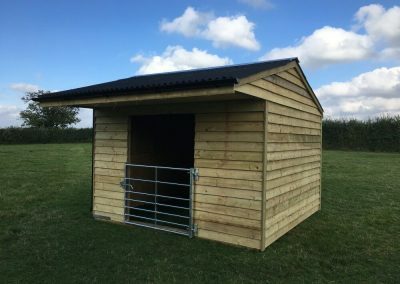 As with our stables and ménage, our field shelters are hand-built to meet your individual requirements. 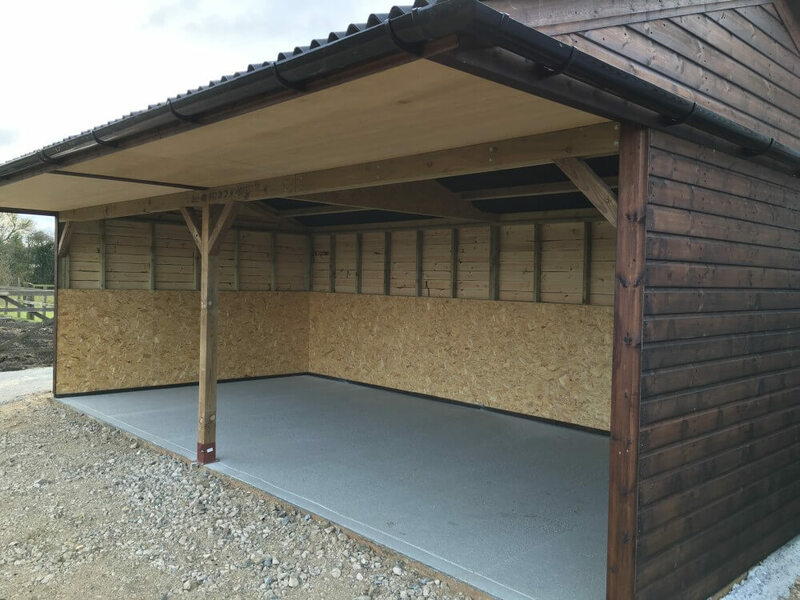 We offer shelters on both wooden and metal skids, and we’ll advise you on the best type for you depending on your specific needs. 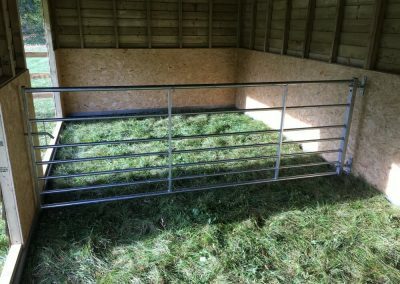 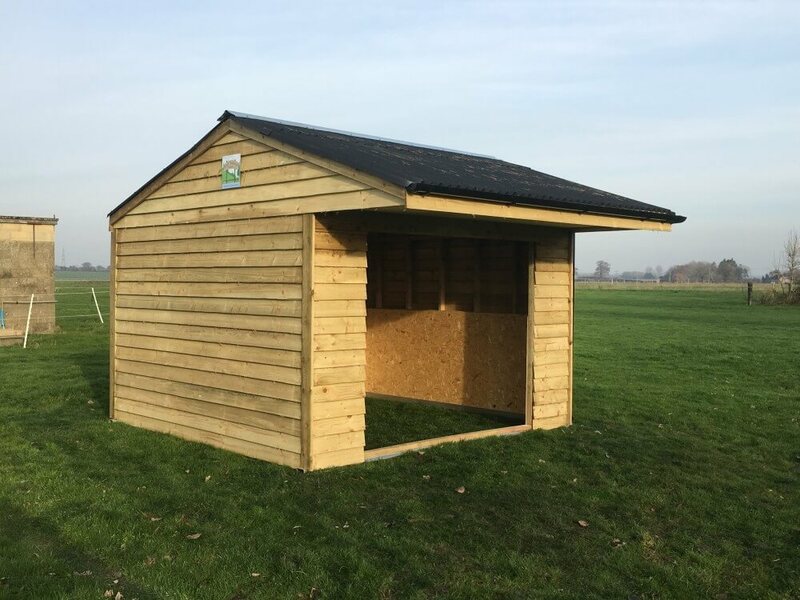 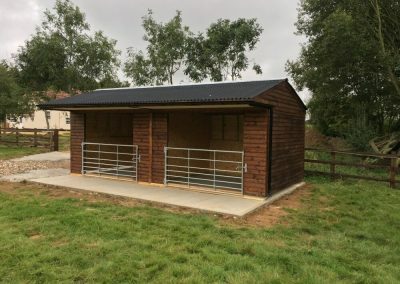 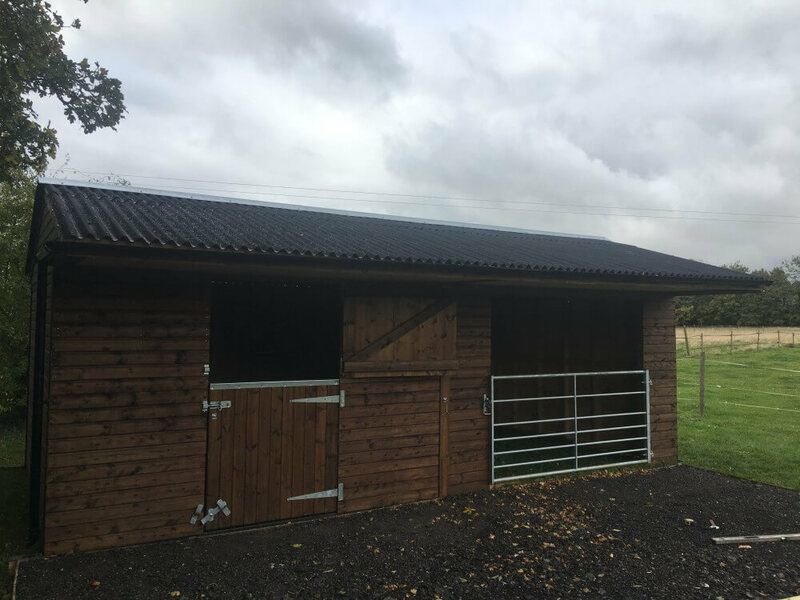 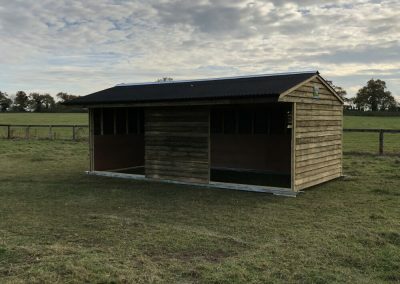 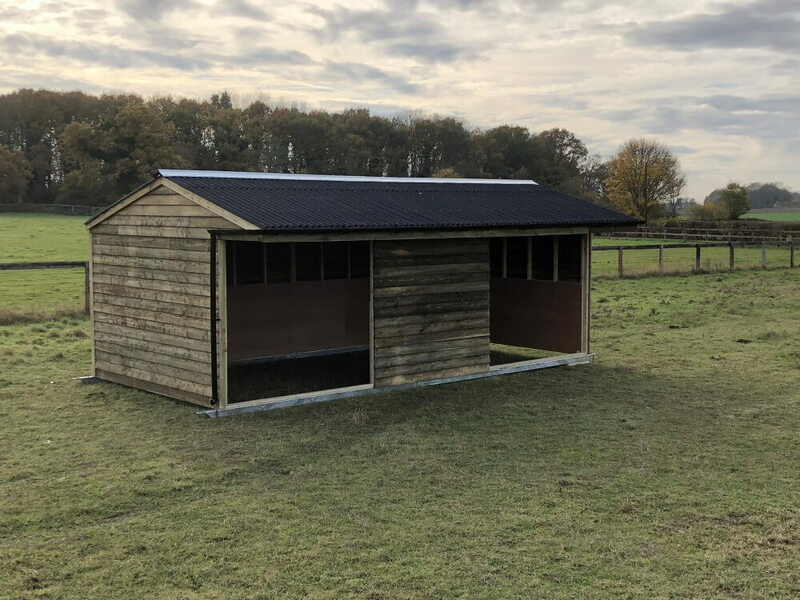 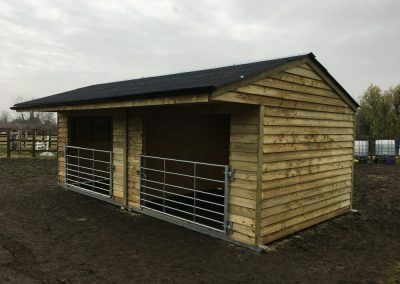 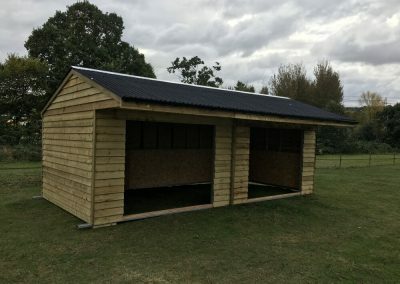 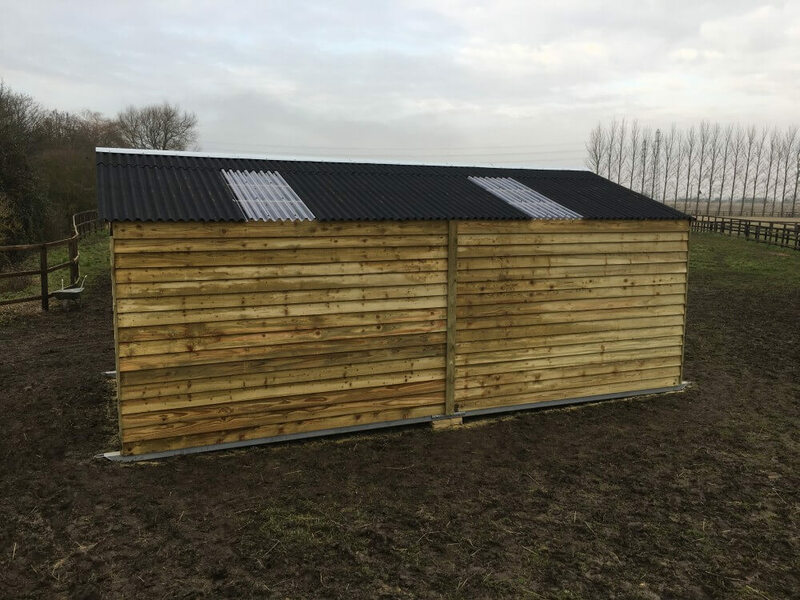 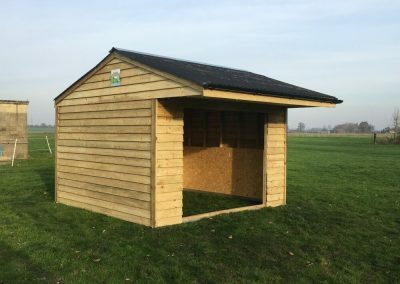 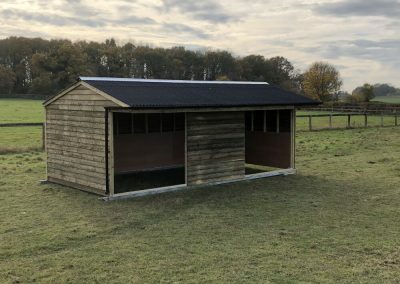 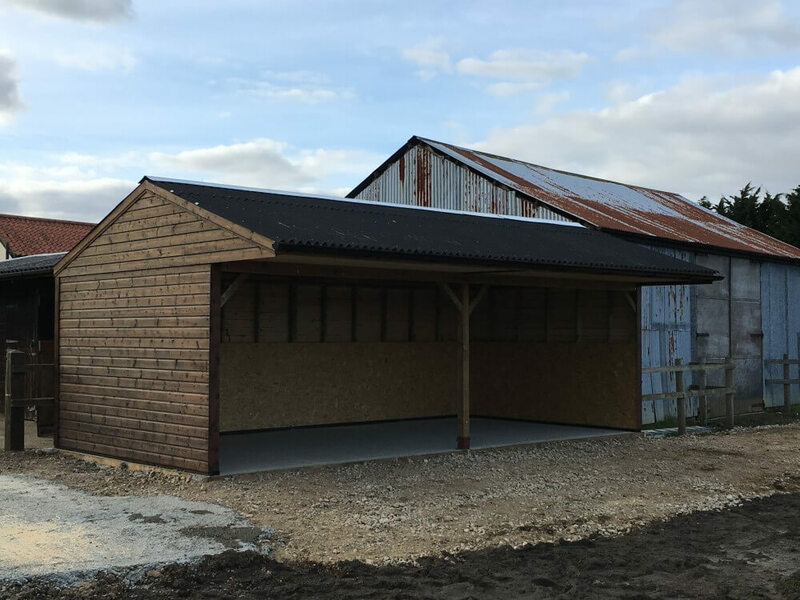 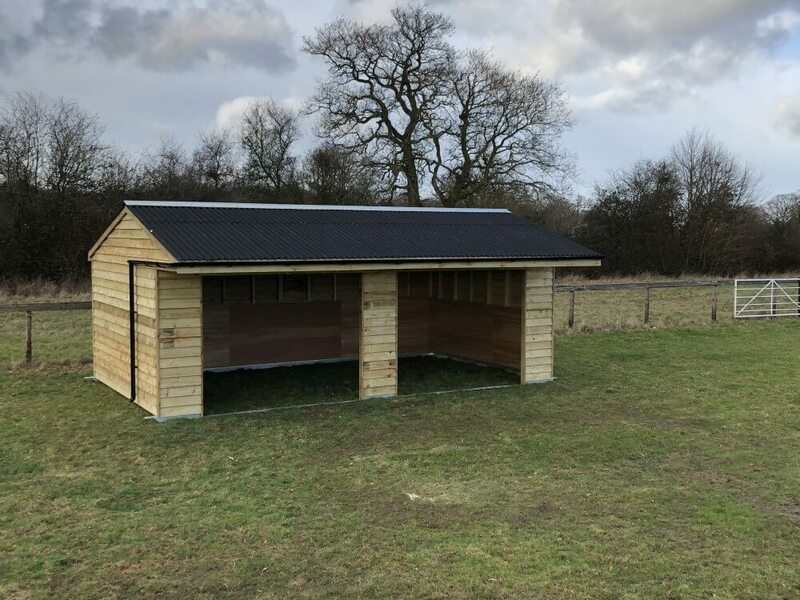 As with our stables, we offer a range of standard sizes and specifications, but we are also able to create specific sizes and designs for individual customers. 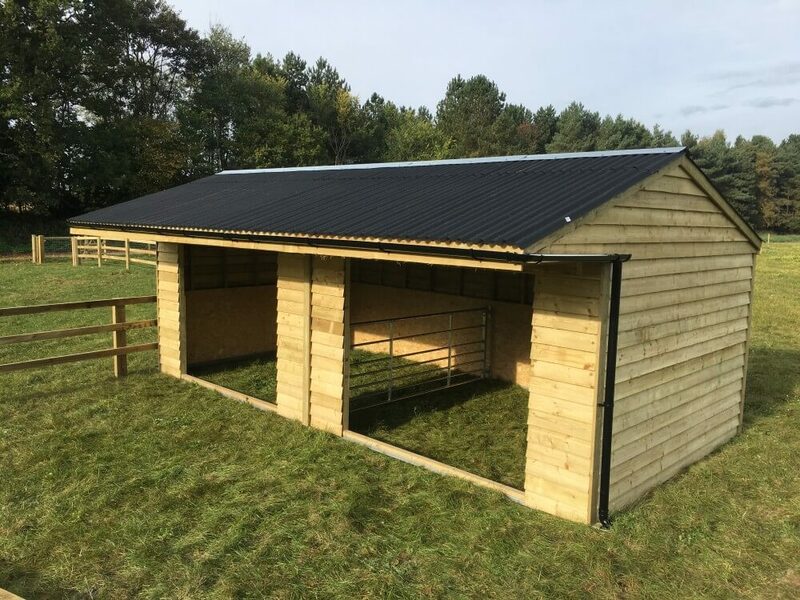 Our field shelters are designed to be easily movable to give your animals a change of scenery once in a while! 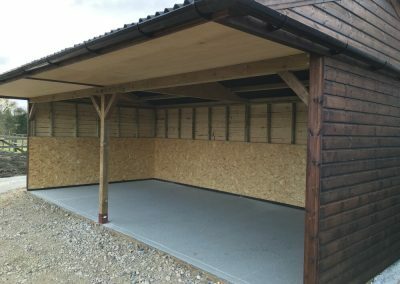 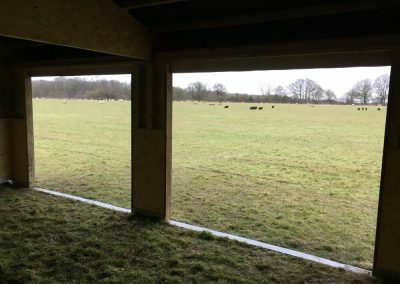 All our Field Shelters come with a 1.2m Overhang and guttering to the front, lining on the inside of a 12mm Hardwood ply up to 1.2m. 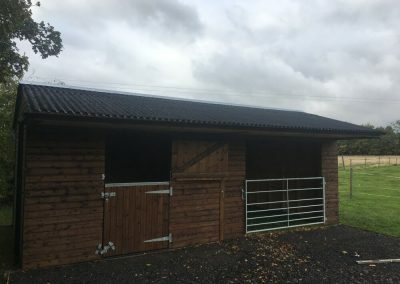 Towing eye hooks at both ends. 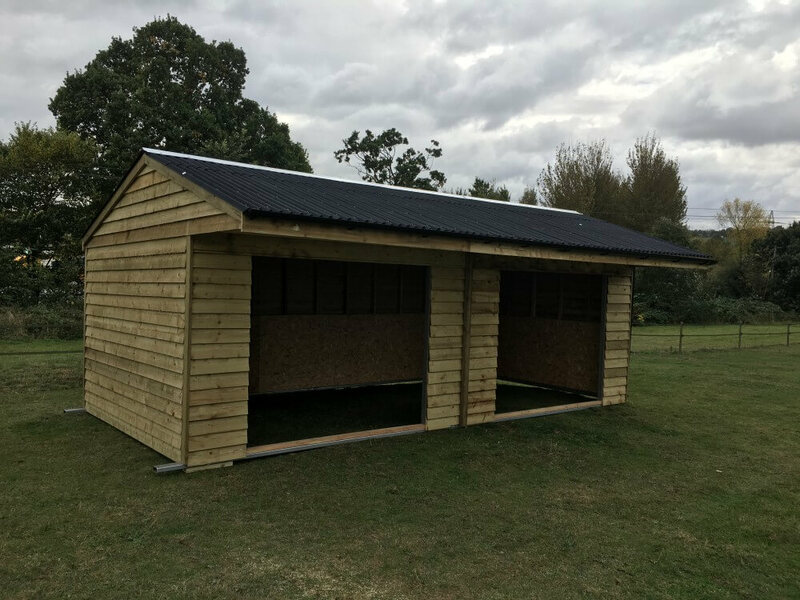 Framework all made up of 4x2 pressure treated timber and clad with a 7 inch feather edge pressure treated boarding with an onduline roof. 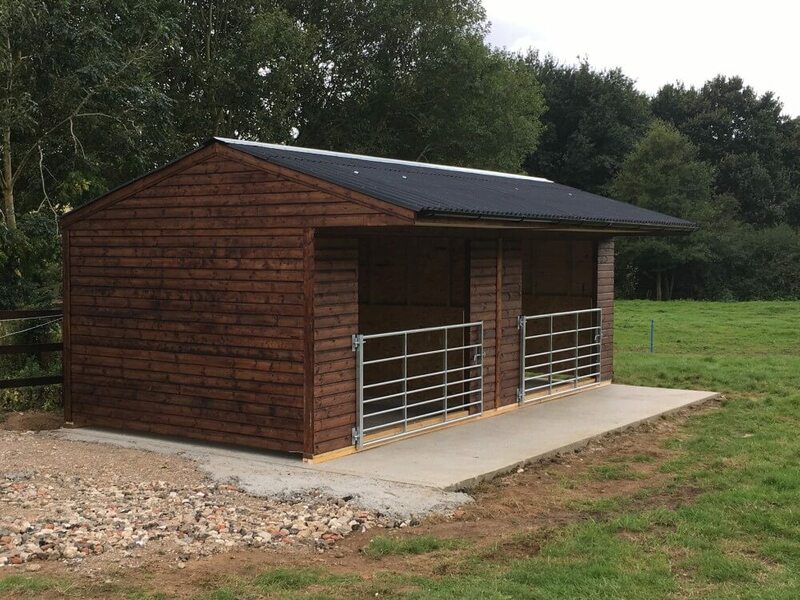 Wooden mobile units and ménage’s are extremely versatile in design and use, and as with all of our buildings can be tailored to your specific requirements. 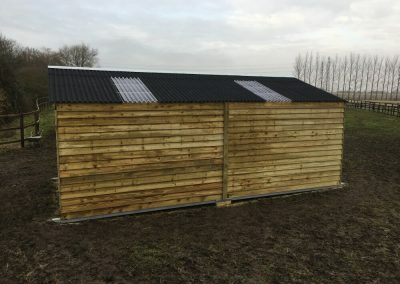 This type of shelter is mounted on tanalised timber skids, with steel connecting brackets and tow eyes to ensure stability..
We do advise staking the fronts of units into the ground, especially in exposed positions. 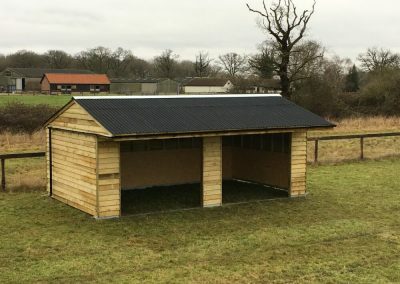 Instead of mounting the shelter on wooden skids, we also offer mobile field shelters mounted on metal skids. 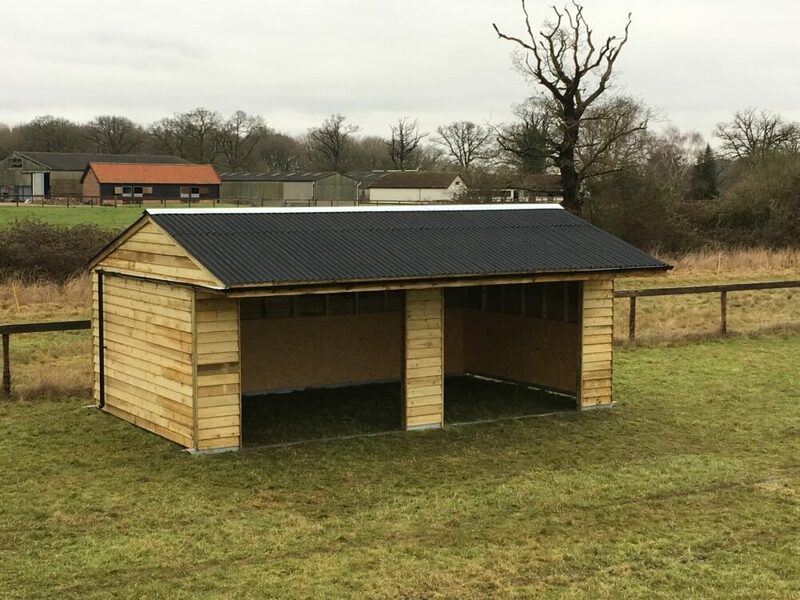 These shelters are sited upon a heavy duty steel box framework, giving maximum stability in strong winds and heavy weather. Rope or chains can be attached to towing eyes to enable moving of the shelter. 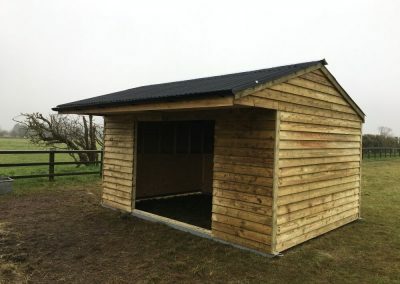 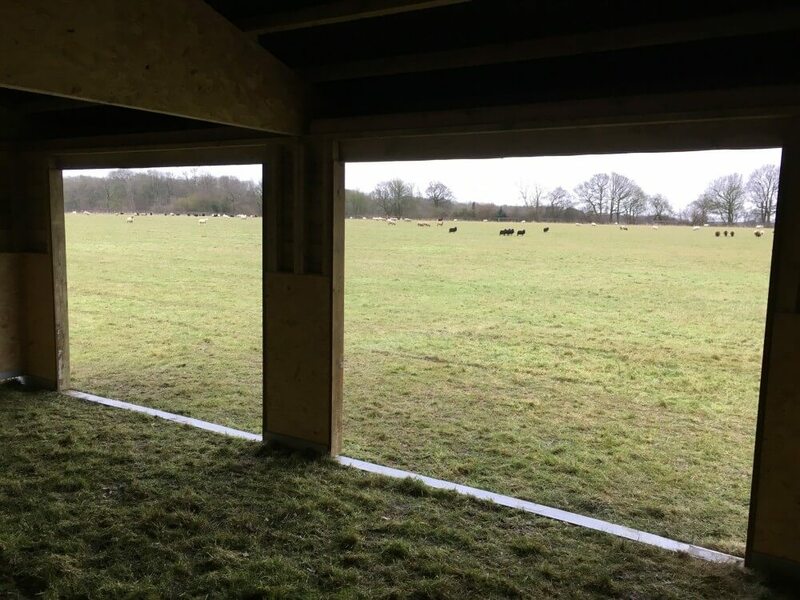 Choosing a dry, flat, and sheltered area is always best to locate your shelter, but if this is not possible, we are able to supply and lay a suitable base such as road plannings to help with drainage, and prevent field poaching by your horses. 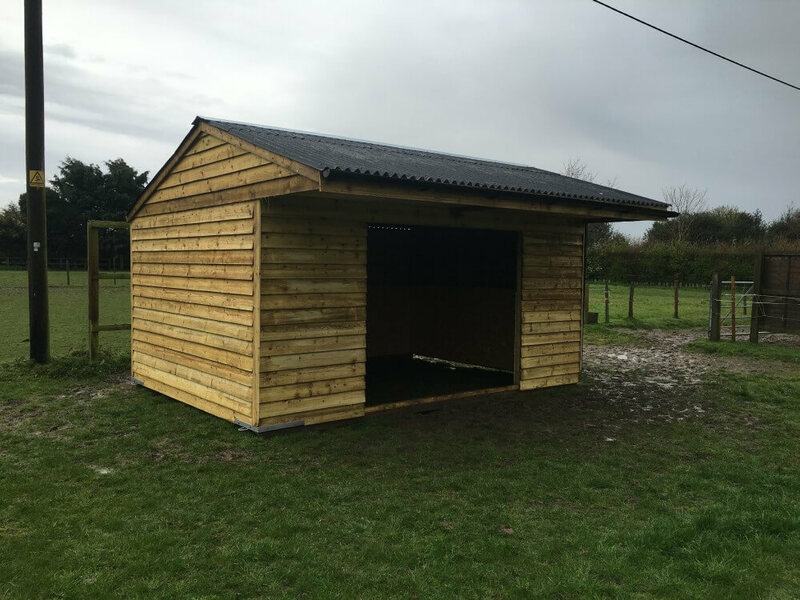 All of our shelters are built to the highest standards, tailored as necessary for individual clients. 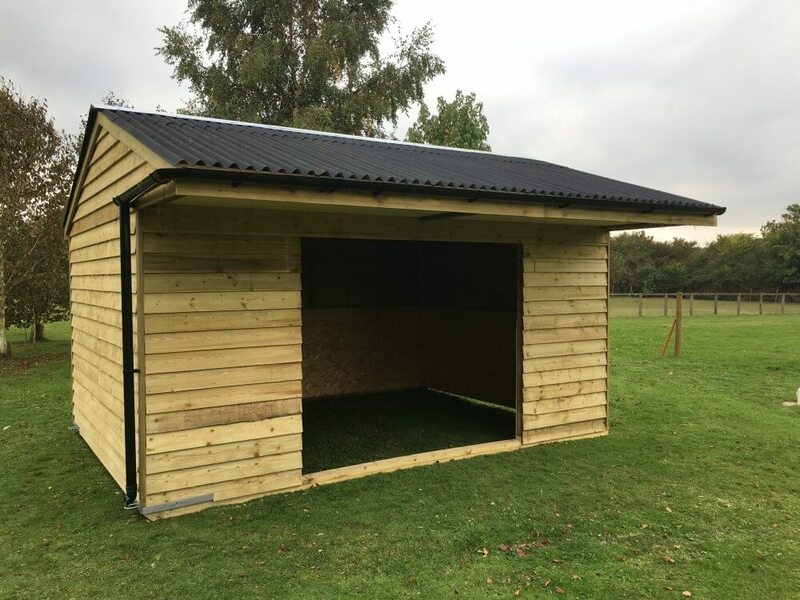 Whilst we offer many standard sizes and a standard specification, because our shelters are hand-built we can fulfil any order, amending even the smallest detail to meet your requirements.